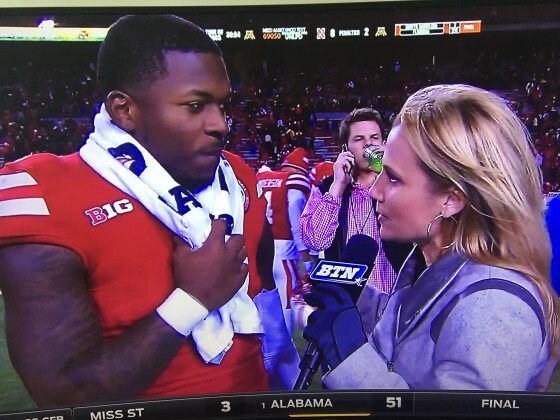 Tommy Armstrong let out a huge sigh on the field. The Nebraska quarterback has been a Husker Ironman, and he now only has two more weeks left of the regular season to try and stay healthy. Saturday was an injury adventure all in itself. Many were wondering if he would play after going through concussion protocol all week. He did. And started. During the game, it was doubtful whether he would come back to the game after hurting his ankle. He did. After that, all he did was score the game-winning touchdown while hurting his hamstring. 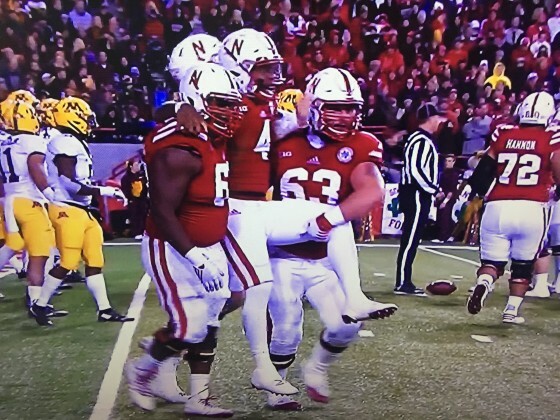 He was carried off the field by his offensive linemen. Armstrong wasn’t officially cleared until Saturday when it was determined then he would start and play. 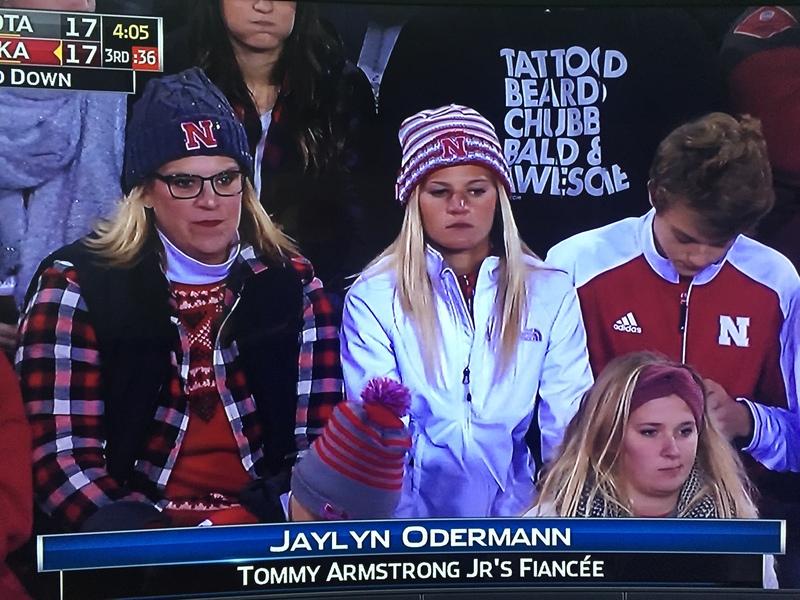 Odermann went with Armstrong to the hospital, along with his dad. She said after they arrived, Armstrong started to act more like himself and kept apologizing for the inconvenience he was putting his loved ones through. “Which is ridiculous,” she said laughing. But since the medical staff had to cut his uniform off to examine him, Armstrong didn’t have any clothes to wear back to the field. One of the Nebraska athletic trainers gave him his own sweatshirt, which Odermann said was “way too small, but he wore it anyway.” Armstrong threw on some hospital scrub pants and socks, and sprinted back to the field. Armstrong showed his competitive side again on Saturday night. Here are the postgame interviews with Head Coach Mike Riley and Armstrong (at the end of the highlight package). Imagine controlling how you watch a college football game. 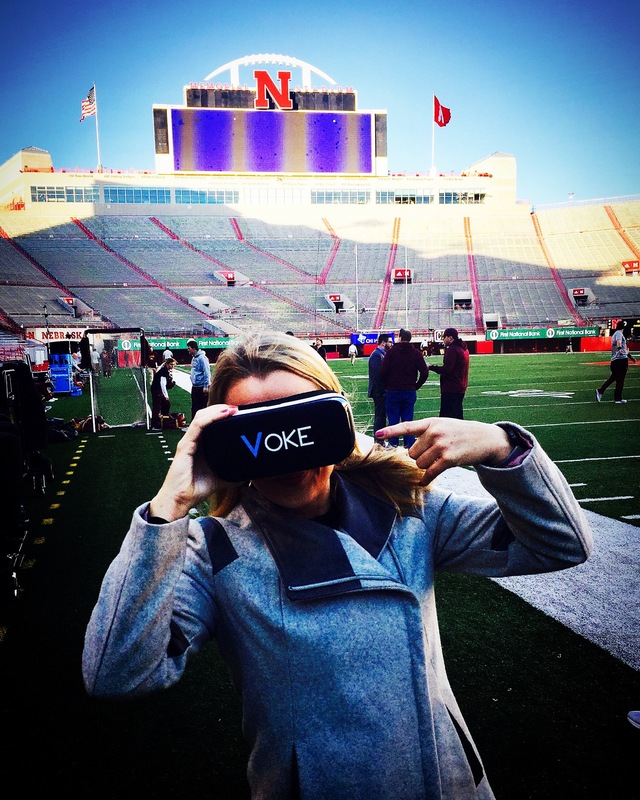 A company called Voke has made it possible with their new virtual reality (VR) technology they introduced with the Big Ten Network Saturday night. It was the first time a college sports network had produced a live college football game in virtual reality. I got to try on the headset. And it’s very cool. You, the user, can switch between any of the four cameras they had set up on the field. So you become you’re own director. All the cameras mimic the human eye, so you have a 3D, 180-degree view. You also have access to live highlights of the game through the headset, which is also a first. Voke allowed me to access some old games they experimented with, and I watched the game-winning Villanova shot from the national championship game. Wearing the headset, I looked up and felt like the confetti was falling down on me. All you need is to purchase the Voke headset, have one of the latest Samsung phones and download the Voke app. Here’s what we did with it during the game.